So, I’ve left Chennai behind. While I don’t think I understand that much about how the place works, one thing seems fairly apparent: There’s never been much in the way of conscious planning. The city just grows, and gets more congested, with no accommodation for getting people from place to place (they’re working on a Metro system that might work eventually, but for now has just turned the core into a construction zone). Over the past few weeks, the Indian chattering classes have been all astir about a remark President Barack Obama made at a forum about India’s decreasing friendliness towards foreign investment. We’re totally still friendly! politicians across the political spectrum protest (while corporations tend to agree with the criticism). One place, however, seems to go blithely about its business: Bangalore, which has been a byword for American outsourcing for decades now, and shows no signs of slowing down. 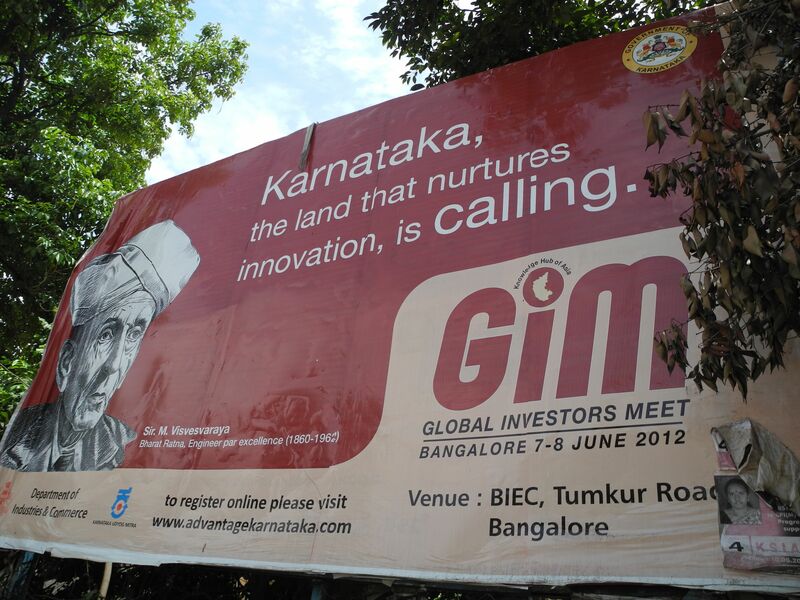 If the billboard above is any indication, the state of Karnataka seems to understand its comparative advantage, and won’t let any silly protectionist impulses get in the way. India places great store by its small merchants—the tiny shops that line every commercial street, hawking cell phones, saris, snacks, and other items one might need during the day. So much so, in fact, that populist politicians have largely prevented Walmart from moving in, Mexico-style, citing the preservation of micro-retail. Their reticence makes some sense. Goods may be marked up by small vendors, but at least streets are active—to a degree that town planners in the U.S. can only dream of—and millions of people own their own businesses. 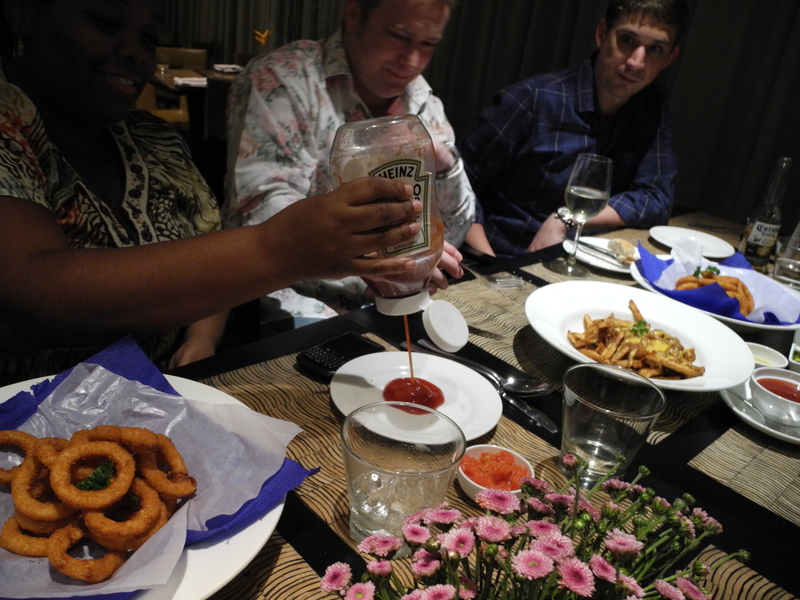 It’s not in the American theme menu that the Park Hotel featured one night last week, which I doubt anyone ordered off of besides a group from the U.S. Consulate (one of whom, having been forewarned that the ketchup would be unrecogizable as such, packed her own Heinz). But it is in the fact that we could have drinks with our platters of onion rings and done-up potato skins. Tamil Nadu, you see, is a dry state—the government holds a monopoly over all retail and wholesale liquor sales. It’s nearly impossible to get a drink with dinner at a restaurant; only 190 bars, clubs, and hotels are licensed to serve booze in Chennai, a city of 4.6 million people. Most people just tend to drink in their houses, and make do with a short list of domestic wines and beers, since high import tariffs make the foreign stuff prohibitively expensive. 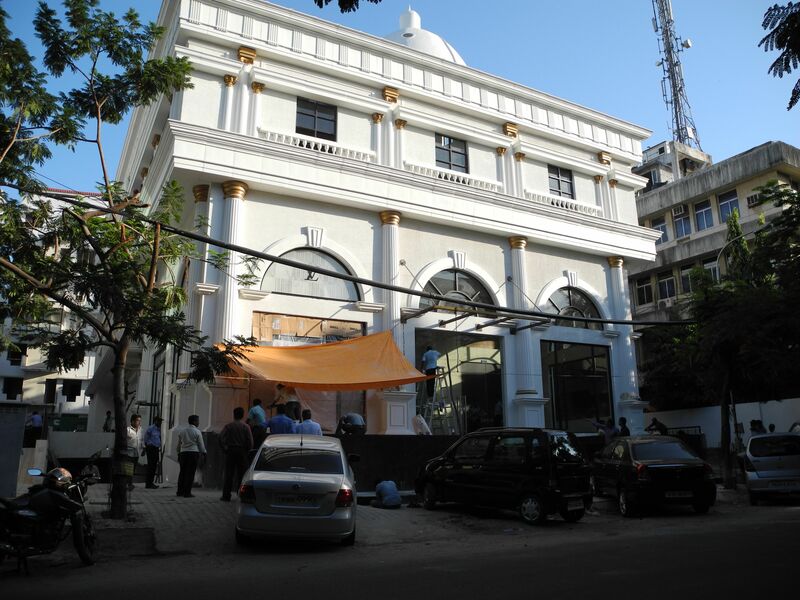 For the younger crowd, Chennai can be a drag. That may be changing a bit. Earlier this month, Tamil Nadu allowed five-star hotels to keep their bars open 24 hours, provided they paid a “privilege fee” of 32 lakh (or about $58,000). The effect of the change was first felt at a different hotel, the Park Sheraton, which has a nightclub space called the Dublin. Last Saturday night, the DJs didn’t say anything in particular as the clock ticked past midnight and the bar stayed open, fueling dancers who packed the cave-like space. But everyone knew that something had changed, as they stumbled out at 2 and 3:00 in the morning—the hotel had paid up. I’m fairly sure they’ll earn back their investment within a weekend. 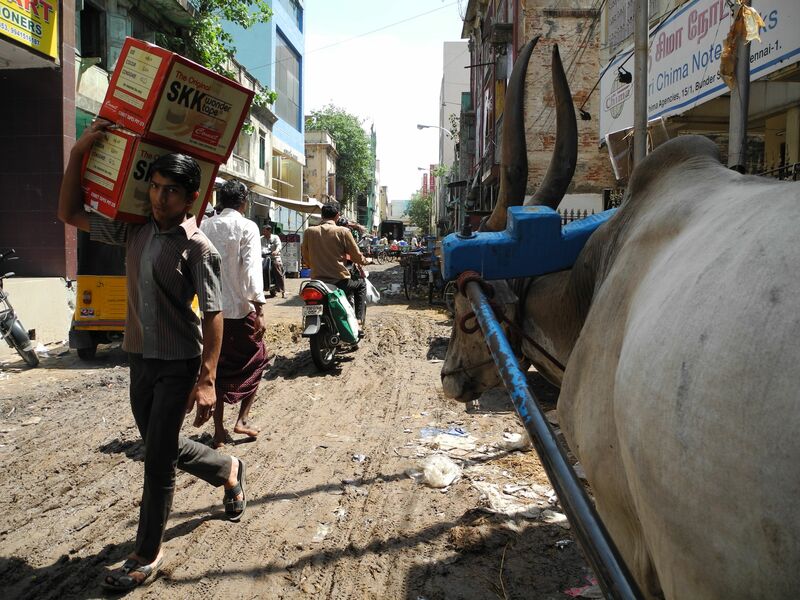 At times, Chennai feels more like a barnyard than the major city it is. Cows wander unmolested, and while the more useful of the bovids—water buffalo—haul carts loaded with everything from limes to rebar. Horses randomly show up on beaches. Then there are the scavengers: Crows, goats, cats, and dogs that serve as organic waste disposal systems, vacuuming up one type of litter and producing another. The dogs are a strangely homogenous crew, as if someone had bred a lean, mid-sized, short-haired canine to have the best chances of survival on the Chennai streets. They’re in various states of health, some excellent and others slowly dying of mange. And so far, they’re gentle, rarely even barking (the ones in Bangalore are bigger and yappier). I’ve already encountered two that became sweet and obedient house dogs after people picked them off the street as pups. What other conclusion could one draw from the fact that you only ever see them in underwear advertisements? It’s cliche by now to talk about the starkness of India’s inequality: Everyone knows the country is ridden with indecent displays of affluence right beside the most abject poverty known to this world. That hasn’t taken away its ability to screw with your head. 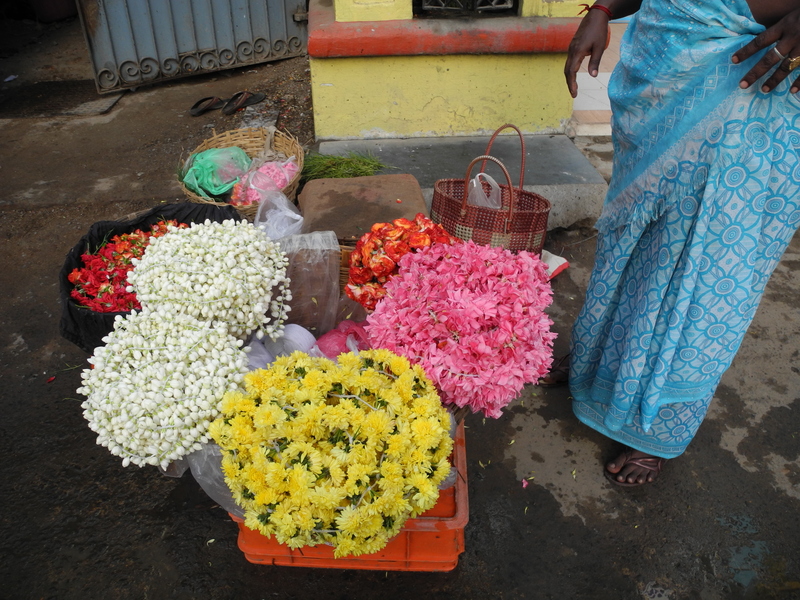 Conspicuous consumption comes in many forms in Chennai. There are a handful of full-scale malls, from the aging Spencer’s Plaza to the bright and shiny Express Avenue, which has a luxe movie theater on the upper floors. There are also thriving shopping avenues, lined with thousands of jewelry stores; a substantial chunk of the country’s wealth is vested in gold and gems.